Trademark dispute was over band’s use of a derogatory name. WASHINGTON — The U.S. Supreme Court ruled Monday that The Slants, an Asian American rock band, has the right to use its name even if some consider it a slur. Tam contested the denial of registration through the administrative appeals process, to no avail. He then took the case to federal court, where the en banc Federal Circuit ultimately found the disparagement clause facially unconstitutional under the First Amendment’s free speech clause. Tam issued a statement on the ruling: “After an excruciating legal battle that has spanned nearly eight years, we’re beyond humbled and thrilled to have won this case at the Supreme Court. This journey has always been much bigger than our band: it’s been about the rights of all marginalized communities to determine what’s best for ourselves. “During the fight, we found the Trademark Office justifying the denial of rights to people based on their race, religion, sexual orientation, and political views, simply because they disagreed with the message of these groups. To that end, they knowingly used false and misleading information, supported by questionable sources such as UrbanDictionary.com, while placing undue burdens on vulnerable communities and small business owners by forcing them into a lengthy, expensive, and biased appeals process. “The Supreme Court has vindicated First Amendment rights not only for … The Slants, but all Americans who are fighting against paternal government policies that ultimately lead to viewpoint discrimination. “For too long, people of color and the LGBTQ community have been prime targets under Section 2(a) of the Lanham Act, simply because we believe in the deliberate disarmament of toxic language and symbols. We’ve had to endure the Trademark Office working in isolation of our groups to navigate the troubled waters of identity politics and shifting language and culture, without any sense of cultural competency, consistency in enforcement of rules, and only giving the benefit of doubt to the most privileged members of society. “Now, Americans can decide who should prevail in the marketplace of ideas rather than a lone examining attorney. Oppressed groups will no longer have their identities shaped by the sensibilities of dominant ones. “When I started this band, it was about creating a bold portrayal of Asian American culture. The establishment of an Asian American band was a political act in of itself, even though we never considered ourselves as a political group. However, as we continued writing music about our experiences, we realized that activism would be integrated into our art as well. “I’m proud our band members have helped raise over $1 million for issues affecting Asian Americans, that we’ve worked with dozens of social justice organizations, and that we could humanize important issues around identity and speech in new and nuanced ways. So we became part art and part activism. “We dedicated our newest release, ‘The Band Who Must Be Named,’ as an open letter to the United States Patent and Trademark Office to articulate these values. Music is the best way we know how to drive social change: it overcomes social barriers in a way that mob-mentality and fear-based political rhetoric never can. “Language and culture are powerful forms of expression and we are elated to know that the Supreme Court of the United States agree. Irony, wit, satire, parody…these are essential for democracy to thrive, these are weapons that neuter malice. “We are filled with appreciation for the numerous groups who have helped us along the way. Organizations from all sides of the political [spectrum]made for unlikely allies in order to address the false dichotomy between free speech and civil liberties. We know that to truly protect the most marginalized members of society, we absolutely must protect and expand the First Amendment. In November 2016, Asian Americans Advancing Justice-AAJC and 11 Asian American organizations filed an amicus brief to warn the Supreme Court about the dangers of opening the federal trademark program to racial slurs and other disparaging words. The brief represented the first time many Asian American groups had directly spoken up in the case, with the intent to ensure that the interests of civil rights and free speech are not improperly pitted against each other. Attorneys from Emery Celli Brinckerhoff & Abady, LLP provided pro bono assistance on the brief. The case raised two important issues to the civil rights community — combating slurs and hateful marks that disparage minority groups and supporting the right of minority groups to reclaim and reappropriate historically derogatory terms. Advancing Justice led a coalition urging the Supreme Court to recognize and protect both interests. While recognizing that Tam is trying to reclaim the slur, Advancing Justice argued that not all trademarks involve progressive efforts, and that Native American groups were fighting to cancel the federal trademark for the Washington Redskins football team as a trademark degrading to Native Americans. “The brief explains why our communities rely on tools in the law to combat the effects of degrading racial, ethnic, and religious slurs,” Advancing Justice said in a statement. “Recent events highlight that the harms associated with these slurs are very real, with racist rhetoric inciting hate crimes and other violence, including harassment in schools. But the brief also supports communities’ efforts to reclaim hateful language by urging the court to craft a balanced approach that considers Tam’s requested use for the trademark and the expressive context of his band’s name. The amicus brief was joined by Asian Americans Advancing Justice–Atlanta; Asian Americans Advancing Justice–Chicago; Asian Law Alliance; Asian Pacific American Labor Alliance, AFL-CIO; Asian Services in Action Inc.; The Institute for Asian Pacific American Leadership and Advancement; Laotian American National Alliance; National Council of Asian Pacific Americans; National Federation of Filipino American Associations; OCA–Asian Pacific American Advocates; and Southeast Asian Resource Action Center. “2. Redskins has a substantial composite of Native Americans demonstrating serious concerns over the name. 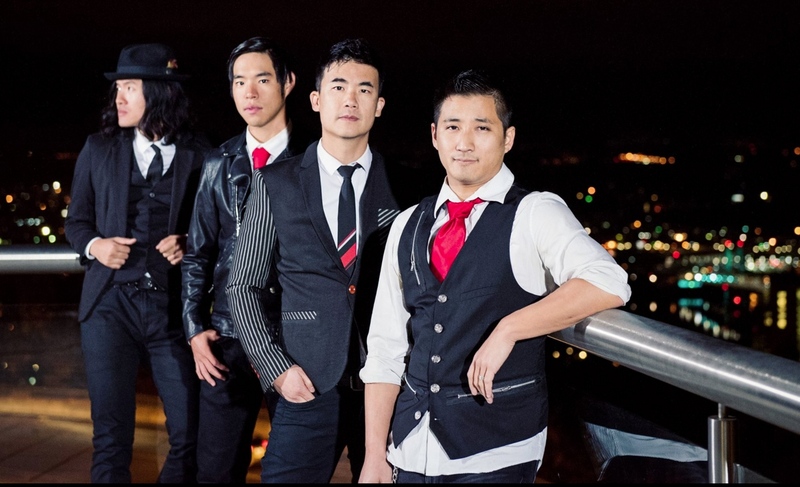 The Slants has not garnered wide protest from Asian Americans; in fact, quite the opposite. Our band has been supported by lifelong activists, organizations, academics, and other experts who understand the sentiment of our community. We’ve partnered with over 200 social justice and advocacy organizations across North America to focus on anti-racism work.